HBO has just announced some changes afoot at the media company, and they could spell good things for its online offerings. Otto Berkes has been named as its new Chief Technology Officer, replacing the veteran Bob Zitter, who is retiring in 2013. Bob Zitter is out as CTO as of March 31st 2013, and will retire at the end of the year. 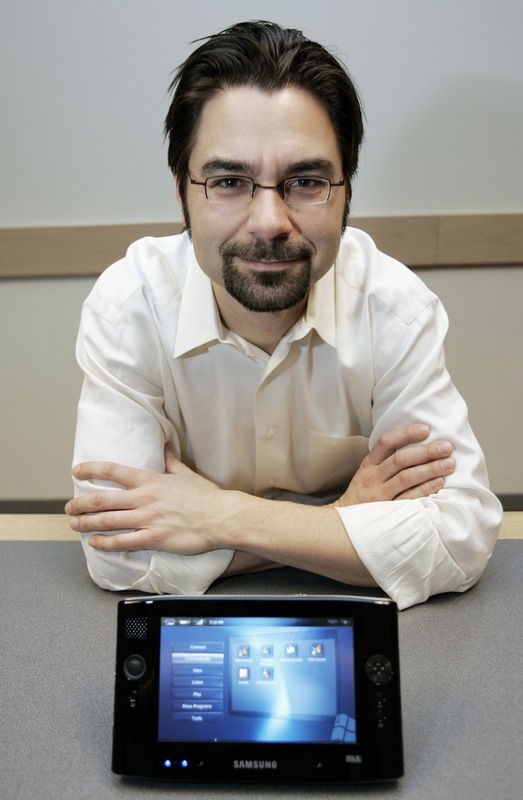 Berkes is a veteran in the software industry who formerly worked at Microsoft Research under Chief Software Architect Ray Ozzie. He was also one of the four original founders of Xbox. That’s Berkes on the right with some Samsung thing running Windows XP’s Touch Pack (remember that?). But Berkes’ more recent work should be the most interesting to those of us hoping that HBO will modernize its approach to online streaming and cord-cutters. Berkes was responsible for the development of HBO GO, MAX GO and HBO.com, all of the various products that make up HBO’s streaming efforts. With a CTO in place who intimately understands the online landscape, we could see an HBO that is more friendly to tablets, computers and extended streaming plans for those of us who do not want to subscribe to an entire cable package just to get HBO.